For more information on sponsoring, see the 2019 Prospectus. Slack is the collaboration hub, where the right people are always in the loop and key information is always at their fingertips. More than 10 million people use Slack every day to make their working lives simpler, more pleasant and more productive. Comcast Corporation is a global media and technology company with two primary businesses, Comcast Cable and NBCUniversal. Comcast Cable is the nation's largest video, high-speed Internet and phone provider to residential customers under the XFINITY brand and also provides these services to businesses. NBCUniversal operates news, entertainment and sports cable networks, the NBC and Telemundo broadcast networks, television production operations, television station groups, Universal Pictures and Universal Parks and Resorts. 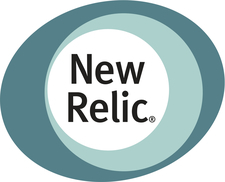 Companies of all sizes trust New Relic's Digital Intelligence Platform for monitoring application and infrastructure performance to quickly resolve issues and improve digital customer experiences. Braintree provides the easiest way to pay and get paid across any device. With one integration, merchants can start accepting credit and debit cards, PayPal, Apple Pay, Android Pay, Venmo, and whatever comes next. Thousands of online and mobile companies including Uber, Airbnb, and GithHub use Braintree in more than 45 countries. To learn more, visit https://www.braintreepayments.com or @braintree. 1904labs are agile and innovative technologists with an entrepreneurial spirit and a passion for designing and building cutting-edge, cloud-based software and data solutions for our clients. We challenge the conventional norms by encouraging our team members to innovate during collaboration times, during standard business hours, and separate from their client work. Express Scripts is a Fortune 25 company with 28,000 employees. One mission unites us: to help make healthcare safer, more accessible and affordable for 80 million Americans. We're doing this by changing and evolving healthcare using data insights, groundbreaking innovations and leading-edge technology. If you're looking to challenge the status-quo, are curious and a critical thinker, check us out. We are a different kind of investment manager. Since 2001, we have used data science and technology to derive insights that forecast the future and uncover value in markets worldwide. Our team of scientists, technologists, and academics looks beyond the traditional to understand the bigger picture and develop creative solutions to some of the world's most challenging economic problems. Our work spans across markets and industries, from insurance and securities to private investments and new ventures. Daugherty Business Solutions is a strategic management and technology consulting partner with a 30+ year history of delivering mission critical solutions to some of the world's largest companies. 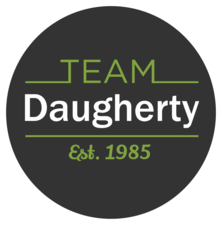 Daugherty has helped architect, design, and develop effective technology solutions that have reduced cost, maximized revenue, mitigated risk, and improved performance and productivity. Our deep industry expertise, world-class capabilities-including a talented team of over 1000 professionals-and break-through methods, techniques, and tools, have made us the logical choice for companies seeking innovative solutions to ever changing business challenges. We provide Management Consulting, Information Management, Software Architecture & Engineering, and Managed Services solutions. Our local delivery model and outstanding career opportunities give us the edge in the ability to attract and retain the best professionals in the consulting industry. Each day of every season, farmers manage critical variables like weather, soil types, and varying prices in the marketplace. John Deere's Intelligent Solutions Group leverages advanced technologies to deliver solutions that lessen the stress on the farmer, allowing them to make difficult decisions with more confidence. At John Deere, we are reimagining the possibilities on the farm. Our engineers use their passion and creativity in robotics, computer vision, AI, and IoT to make farmers more productive, profitable, and sustainable with smarter machines and meaningful data at their fingertips. Adzerk is the market leader in server-side ad serving. Our APIs make it easy for engineers to quickly build a fully-customized ad server for displaying ads or internal promotions on sites, apps, podcasts, digital billboards, VR games, and so on. Customers include Bed Bath & Beyond, TicketMaster, Salesforce, Strava, WeTransfer, Imgur, and more. At Mozilla, we're a global community of technologists, thinkers and builders working together so people worldwide can be informed contributors and creators of the Web. Our mission is to ensure the Internet is a global public resource, open and accessible to all, where individuals can shape their own experience and are empowered, safe and independent. Asynchrony Labs, a division of World Wide Technology, is an information technology consulting firm located in St. Louis, Missouri. We specialize in application development, mobile computing, systems and sensor integration, enterprise architecture, and tactical collaboration. Our diverse client base includes commercial, non-profit, and government organizations. We've delivered solutions ranging from back-end government middleware to front-end applications and full-scale, commercial Cloud infrastructures. In short, Asynchrony Labs connects people, sensors, information, and systems. Our mission is to create high-impact software solutions through ongoing client collaboration, iterative development, and continuous testing that are better than could have been envisioned at project start. Our workplace and processes are designed to spur creativity and foster consistent innovation. We've been a recognized leader in Agile development practices for over a decade.